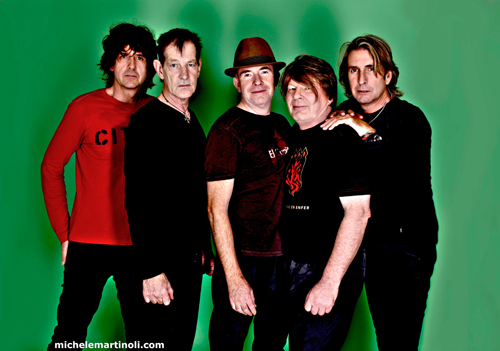 The Fixx, the first band I ever saw live, is playing a show at the Knitting Factory Brooklyn on June 10, 2012 (Buy Tickets). According to Wikipedia, the current iteration of the band features the classic lineup with Jamie West-Oram on guitar, Rupert Greenall on keyboards, Adam Woods on drums and Dan K. Brown on bass. The Fixx even have a new album coming out (their 10th) entitled Beautiful Friction, which is set to be released on July 17, 2012 (as far as I can tell). Few acts are able to sustain the longevity necessary to endure the strain of consistently recording, performing and cultivating music at a high level. Over the last three decades, the legendary English rock band, The Fixx has done just that. With its 1982 debut album, “Shuttered Room,” and their commercially successful album “Reach the Beach” they were able to capture enormous acclaim and recognition for their hits “One Thing Leads to Another”, “Saved by Zero”, “Red Skies” and “Stand or Fall.” Due to the political overtones in the songs, they were able to receive sufficient airplay on MTV, before it became a fixture for reality television. More of The Fixx‘s 2012 US tour dates after the jump.